The two words that come out of every child’s mouth at one time or another is, “Mom, I’m bored!” And although research shows that boredom is the catalyst for creativity, we ultimately want our kids to happily enjoy their carefree childhood days. So why not spend some quality time as a family and treat your kids to a fun day out! Take a break from the usual amusement parks and try our list of favorite kids entertainment spots in Riyadh. Located between exits 13 and 14, Jammoly World is a 12,000-square-meter educational center that gives kids ages 4 to 12 the chance to suit up and role play certain adult professions. Children can choose to “work” in a number of realistic “jobs” and actually get paid just like adults. Brining future careers as close to reality as possible in a creative and educating way. Chi ldren practice professions such as doctors, firemen, reporters, police officers and paramedics. It’s also home to a huge 800-seat theater that hosts special performances and celebrations. Also located in Sahara Mall, Cafe Ceramique is part-cafe, part-art studio where both kids and adults can tap into their artistic talents and enjoy a delicious meal all in one place. Simply choose a pottery item from their extensive range of kitchen wear and decorative items, have a seat at your table and the waiters will provide you with paint, brushes, sponges and anything else you might need. Not much of an artist? No worries, you can look through their templates and art books for ideas. Once you are done painting, you give the waiter your “piece of art” to be glazed and set, and it will be ready for pick up a week later. This specially designed indoor football field is a football fanatic’s dream come true. Goal! 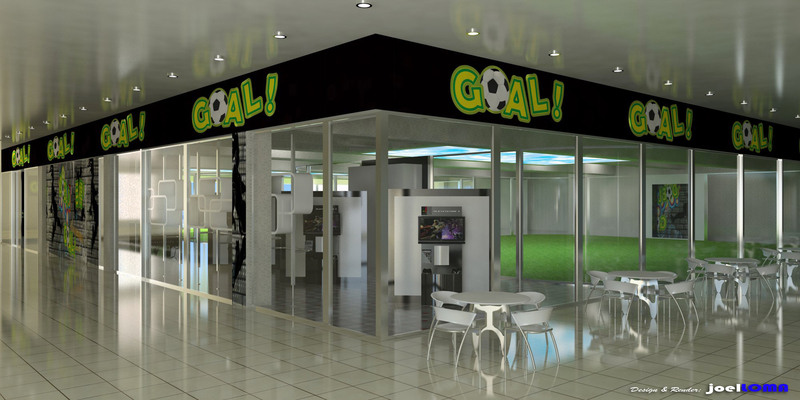 Junior is safe and fun facility in Sahara Mall that offers kids aged 5 to 15 the chance to bend it like Beckham in 15-minute football matches. Drop in with your kids anytime and they will enjoy a friendly yet “professional” match, complete with colored team aprons, a grass field, referee, scoreboard and sometimes even a commentator. An exciting setting where everyone has fun and leaves a winner. Much more than a stationary store, Stationary Fantasies located on the second floor of Al Azizia Mall, offers one of the most unique entertaining and learning experiences in Riyadh. Children can choose to play in a number of specially set up and supervised activity rooms; some of which teach them specific skills like baking, arts and crafts and soap making and other rooms have sports activities, carting and sand play. You can have a cup of coffee while safely watching the kids have fun through the glass doors of every room. Pass by the stationary store for your own entertainment, where you can shop for gifts, books, home accessories and furniture. From the coolest arcade games and hi-tech simulator rides to safe kiddy rides for the little ones, Chuck E Cheese is the ultimate fun-stop for kids of all ages. Children particularly enjoy “winning” tickets after each game, which they collect in exchange of a fun prize on their way out. And after all the games have been played, the cheesiest pizza in town has been eaten and cool prizes have been won, everyone in the family will be leaving completely satisfied.